In today's modern life its difficult to find the time to focus upon yourself and to do the things that mean the most to you. Wouldn't it be great to be able to dedicate more time towards yourself, your family, or your favourite hobbies and interests? Think of the home as perfect outlet for these desires. It's all about creating a space within the home that provides a perfect setting for you and your loved ones. Picture an under appreciated room in your home, or a space within the garden that could be changed to be an alternative use. 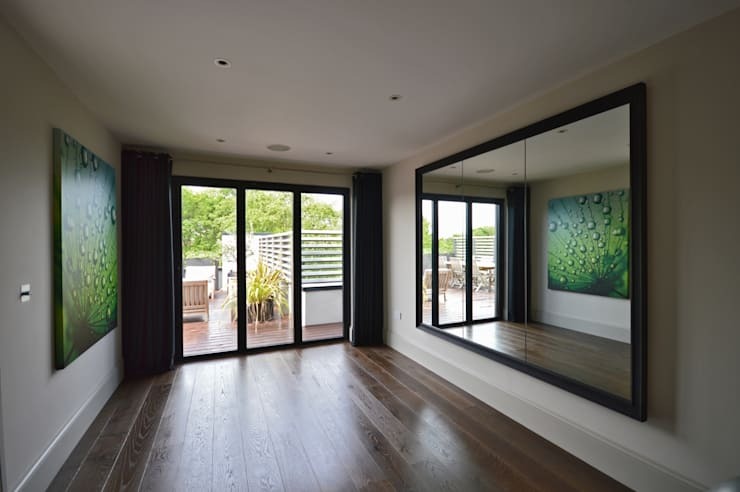 Whether you have the passion for yoga, quiet reading, exercise, or simply spending time relaxing with the family— let us at homify inspire you to create a valuable space within your home to undertake these passions. Home library's have undergone a recent resurgence and have been reinvented in the modern home. In this library there is a particular focus upon the placement and choice of furniture. Facing towards the window and outside, an attractive two piece reading chair and footstool are of a classic style—the stained wood frame and dark black leather cushion bring a sense of maturity and charm. 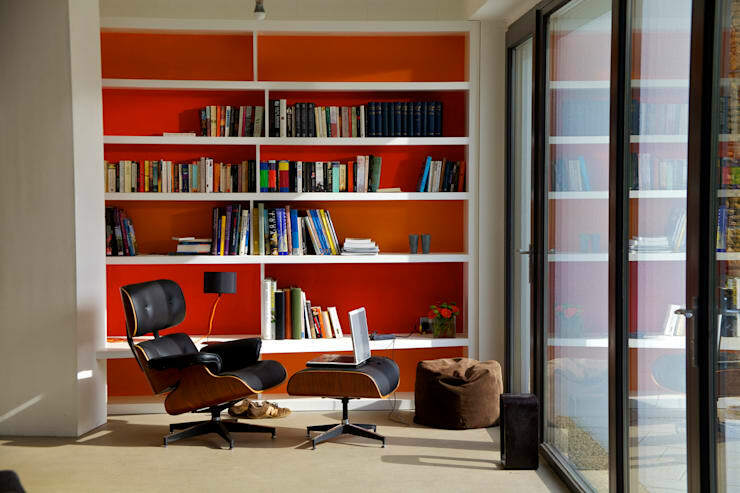 We especially love the red and orange shades which awaken the room and bring a distinct warm feeling. Decking areas are fabulous social settings that can be a natural gathering point for friends and family to spend time together. Design professionals at Leivars have overseen the installation of an amazing transparent glass floor which is the centrepiece of this deck. Lightly stained wood along with the cream shade of the outdoor furniture create a bright and natural look. There's also a real emphasis of bringing greenery to the space with plenty of potted plants of varying sizes bordering the area. Talk about tranquillity: this room is dedicated towards personal relaxation and to indulge in favourite hobbies. 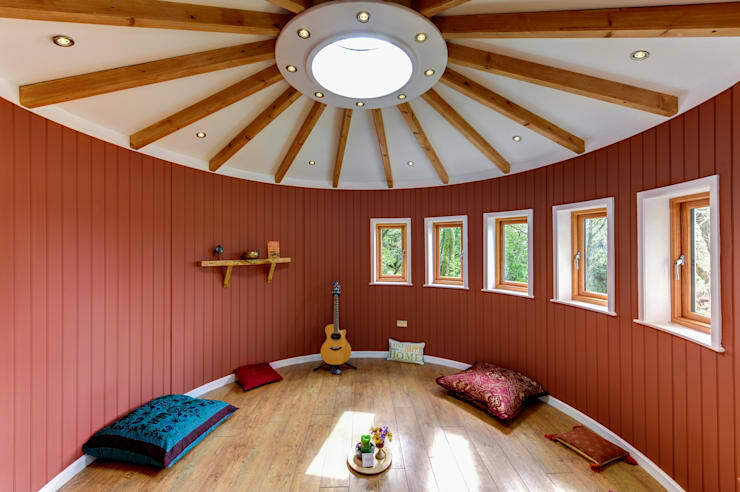 There's a real openness in this room due to the circular design and simple décor. Wooden beams draw the gaze to the ceilings majestic skylight as the natural light pours in. A deep shade of red interplays well with the wooden textures of the floorboards and the framing structure. Is your garden unappreciated? Maybe its time to turn an unloved garden into an inspiring retreat. 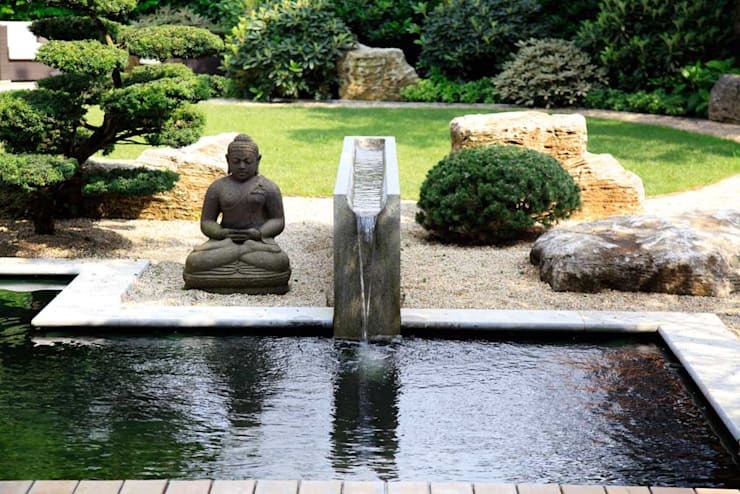 Here we see the landscape design experts from Kirchner Garden + Teich GMBH create a stunning Asian themed garden. There's is a peaceful vibe in this garden. The slow trickle of running water provided by the simple water feature adds greatly to the enjoyment of the small pond. There's a neat appearance to the landscaping with the area full of plenty of shaped greenery and soft grass to lie down in. The rock features and shaped evergreen bushes give the garden that authentic Asian feel. Our final inspiring space is a room that can be dedicated to a variety of different activities such as exercising, yoga or meditation. No matter how this room is used, it will always be filled with life and energy. From this perspective we see how the wooden floorboards flow naturally into the outdoor decking outside. The room is light and open while the dark shaded boarders of the mirror, rear panels and curtains act as contrast to the white of the walls and ceiling.